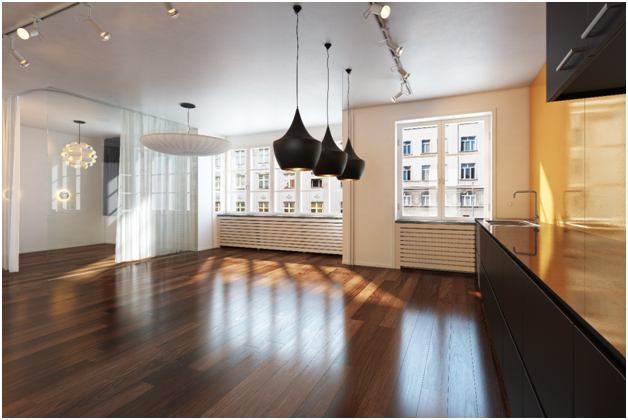 At Kuhn Flooring Gallery, our wide selection of hardwood floors will provide style and increase the value of your home. We are proud to carry a diverse collection of hardwood flooring types and species, including walnut, maple, oak, hickory, and many more. Are you thinking about new hardwood floors? An easy way to give your home a classic yet modern feel is to add hardwood flooring. 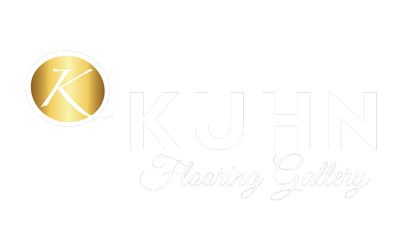 At Kuhn Flooring Gallery, our wide selection of hardwood flooring will provide style and increase the value of your home. We are proud to carry a diverse collection of hardwood flooring types and species, including walnut, maple, oak, hickory, and many more. Our hardwood floors lend a stunning yet durable solution, ideal for every room in your home. New Hardwood Floor Cost Got You Down? You Will Love Our Prices! We carry an impressive selection of quality hardwood flooring for any home in South Florida. Whether you need plank wood flooring for a rustic dining room or want the elegant look of cherry in your traditional living room, we offer an assortment of wood flooring species, styles, and finishes. With the best manufacturer name brands in the industry, our hardwood floors are as unique as your own personal taste! Plus, you will love our new hardwood floor cost. Our quality hardwood flooring options are crafted using the finest hardwoods available. When you choose hardwood flooring, you are selecting a floor for your home that only gets better with age. From the distinct look of maple to the warm look of oak, we have the hardwood flooring choices that you need to create your ideal look. Hardwood floors add a touch of elegance and warmth to your home. We carry a variety of finishes, stains, and gloss levels to complement and enhance your furniture and home decor. New hardwood floors are also easy to maintain and add value to your home, offsetting the new hardwood floor cost. With easy maintenance, your hardwood floors will look great long after installation is complete. In addition to their aesthetic appeal, hardwood floors offer many other benefits. Hardwood flooring is easy to clean, enhances any décor, and can add to a healthier home environment by reducing the effects of allergens. They are very easy to keep clean since they can be quickly swept, steam-cleaned, or vacuumed to remove any dirt or debris. New hardwood floors are easier to maintain than carpeting and offer the ultimate in stain resistance. Since wood floors are easy to keep clean, they are perfect for families with pets or children. Your wood flooring can also enhance your home’s air quality, minimizing the effects of dust and pet dander. 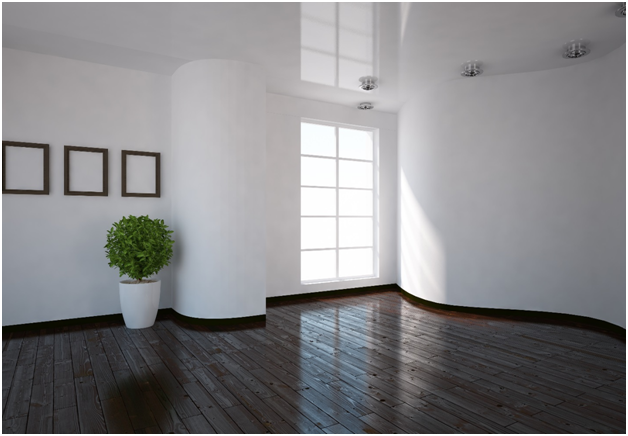 Additionally, hardwood floors can be refinished, giving them the potential to last for decades to come. When it comes time for you to sell your home, you may find that hardwood floors help you to sell your home faster. Many buyers plan on replacing carpets when moving into a home. Because of this, buyers will often pay more for a house with hardwood floors. While hardwood floors may cost more than other flooring types up front, wood floors are worth the new hardwood floor cost in the long run. DIY hardwood floor installation can be a challenge for those that have not done it before. Professional tools are necessary to ensure that your job is done correctly. From proper measuring to hauling away old flooring materials at the end of the job, hardwood floor installation is best handled by professionals. Hiring a professional with the specialized tools and specific knowledge to install your project correctly is well worth the hardwood floor installation cost. When you contact us to install your hardwood floors, one of our estimators will visit your home and provide accurate measurements. We will also estimate how much installation materials and flooring are needed for your home. When measurements are complete, we will give you a detailed hardwood floor installation cost. 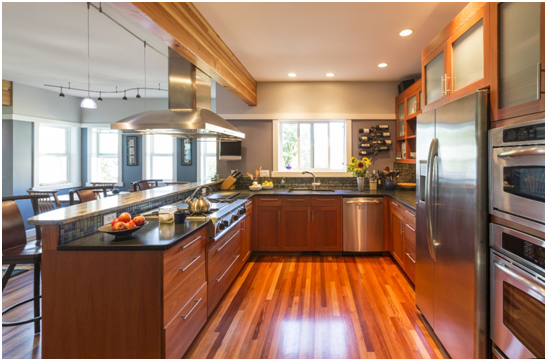 In addition to their aesthetic appeal, hardwood floors offer many other benefits. Hardwood flooring is easy to clean, compliments any home décor, and can create a healthier environment in your home by reducing allergens. They are very easy to keep clean since they can be quickly swept, steam-cleaned, or vacuumed to remove any dirt or debris. New hardwood floors are easier to maintain than carpeting and offer the ultimate in stain resistance. Since wood floors are easy to keep clean, they are perfect for families with pets or children. Your wood flooring can also enhance your home’s air quality, minimizing the effects of dust and pet dander. Additionally, hardwood floors can be refinished, giving them the potential to last for decades to come.